FISHERIES (AMENDMENT) ACT, 1997 (NO. 23) & FORESHORE ACT, 1933 (NO. 12) NOTICE OF DECISION TO GRANT AQUACULTURE AND FORESHORE LICENCES. 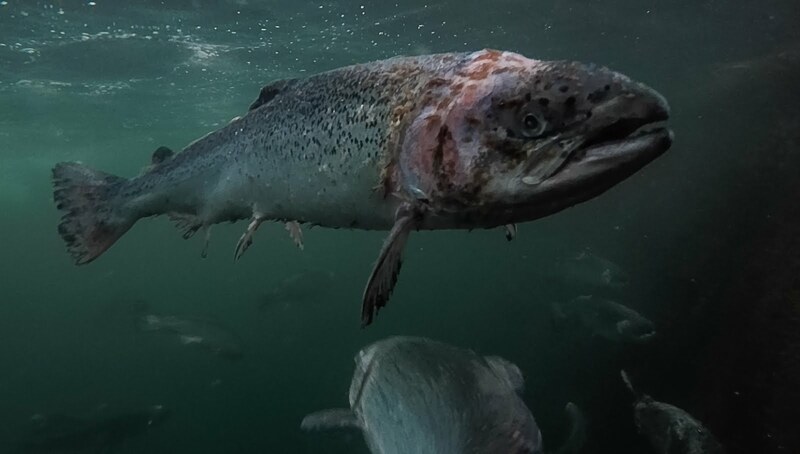 The Minister for Agriculture, Food and the Marine has decided to grant an Aquaculture Licence and a Foreshore Licence to, Bradán Fanad Teo t/a Marine Harvest Ireland, KINDRUM, FANAD, LETTERKENNY, CO. DONEGAL, REF: T5/555 for the cultivation of Atlantic Salmon; Salmo Salar on a site on the foreshore at SHOT HEAD, BANTRY BAY, CO. CORK. The reasons for this decision are elaborated on the Department’s website at http://www.agriculture.gov.ie/fisheries/aquacultureforeshoremanagement/aquaculturelice nsing/aquaculturelicencedecisions/cork/ An appeal against the Aquaculture Licence decision may be made in writing, in accordance with Section 40 & Section 41 of the Fisheries (Amendment) Act within one month of date of publication, to THE AQUACULTURE LICENCES APPEALS BOARD Kilminchy Court, Dublin Road, Portlaoise, Co. Laois, by completing the Notice of Appeal Application Form available from the Board, phone (057) 8631912, e-mail at info@alab.ie or website www.alab.ie A person may question the validity of the Foreshore Licence determination by way of an application for judicial review, under Order 84 of the Rules of the Superior Courts (S.I. No. 15 of 1986). Practical information on the review mechanism can be obtained from the Citizens Information Board, Ground Floor, George’s Quay House, 43 Townsend Street, Dublin 2. The documentation upon which the Minister determined the application is also available on the Department’s website as set out above and may be inspected free of charge at the Department’s Offices in Clonakilty, Co. Cork, by contacting the Aquaculture & Foreshore Management Division on 023 8859500.